DEBORAH DANIELSON, CFP®,MSFS is President and owner of Danielson Financial Group. As a Las Vegas native, she has built a solid record of accomplishments and a reputation for excellence among her clients and colleagues. An investment professional since 1981, Ms. Danielson is a CERTIFIED FINANCIAL PLANNERTM and has a Master’s of Science in Financial Services. She maintains securities registrations with LPL Financial. Ms. Danielson employs a comprehensive, client-focused approach to financial planning. Such discipline ensures that recommended programs encompass each client’s financial goals, time frames and risk tolerance. In recognition of her extraordinary efforts, Ms. Danielson was named one of the Top 1200 Financial Advisors in America by Barron’s Magazine1, February 2014, 2015, 2016, 2017, and 2018, one of the Top 1000 Financial Advisors nationwide by Barron’s Magazine1, February 2009, 2010, 2011, 2012, 2013, named one of the Top 100 Women Financial Advisors by Barron’s Magazine1, June 2008, 2009, 2010, 2011, 2012, 2013, 2014, and 2016, named Forbes Best-In-State Wealth Advisors3 in 2018, named Forbes Top 200 Wealth Advisors2 in 2016, and named Forbes Top 200 Women Advisors2 in 2017. Ms. Danielson has been a guest on FOX Business, CNBC Squawk on the Street and Power Lunch and BNN. She has appeared on newscasts live from the floor of the NASDAQ and New York Stock Exchange. June 24, 2011 she had the honor of attending the Opening Bell Ceremony for LPL Financial televised live from the floor of the NASDAQ. Ms. Danielson is also a bestselling author of "Why Me? Seeking Answers on Your Grief", as well as the co-author of several books including, the "Expert’s Guide to Financial Planning" published in 1987, and contributed to "Big Vision, Small Business...The Four Keys to Finding Success and Satisfaction as a Lifestyle Entrepreneur", published in 2001. Ms. Danielson is sought after for advice, and has been published in Money Magazine, The Wall Street Journal, Dow Jones Wire, Bloomberg, and has appeared on local and national news and radio shows. She served as the Financial Editor for Nevada Woman magazine July 1995, and its replacement magazine, LV Woman, until 2008. She is actively involved in the professional association International Women’s Forum (IWF), and has been acknowledged for her leadership contribution. 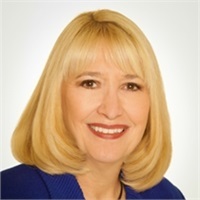 She is a founding member of the National Association of Women Business Owners, Southern Nevada Chapter; the past President and former board member of the Las Vegas Chamber of Commerce; and the past President of the Financial Planning Association (FPA) Las Vegas Chapter. Ms. Danielson obtained her WSET (Wine & Spirit Education Trust) Advanced Certificate, Level 3, in pursuit of the Masters of Wine designation. She has raised three children and is now the proud grandma to four wonderful grandchildren. Ms. Danielson is an avid traveler, 88 countries and counting, and enjoys collecting wine for her 3,000 bottle wine cellar. 1 Rankings based on matrices including assets under management, revenue produced for the firm, regulatory record, quality of practice and philanthropic work. 2 Forbes ranking of America’s Top Women Wealth Advisors, developed by SHOOK Research, is based on an algorithm of qualitative criteria, mostly gained through telephone and in-person due diligence interview, and quantitative data. Those advisors that are considered have a minimum of seven years' experience, and the algorithm weights factors like revenue trends, assets under management, compliance records, industry experience and those that encompass best practices in their practices and approach to working with clients. Portfolio performance is not a criteria due to varying client objectives and lack of audited date. Neither Forbes nor SHOOK receives a fee in exchange for rankings. 3 The Forbes Best-In-State Wealth Advisor ranking, developed by SHOOK Research, is based on in-person and telephone due diligence meetings and a ranking algorithm that includes: client retention, industry experience, review of compliance records, firm nominations; and quantitative criteria, including: assets under management and revenue generated for their firms. Portfolio performance is not a criteria due to varying client objectives and lack of audited data. Neither Forbes nor SHOOK Research receives a fee in exchange for rankings.